Figuring out which airline is the right airline for you can be difficult. In fact, it is a lot more political in the states than I thought. I’m one of those guys who will fly the airline that gets me to my destination when I want it to. But a recent conversation I saw online showed that not everyone feels the same. You see, airlines are a lot like politicians. There are people that will fly one airline and only one airline no matter what. It’s a lot like straight ticket voting. 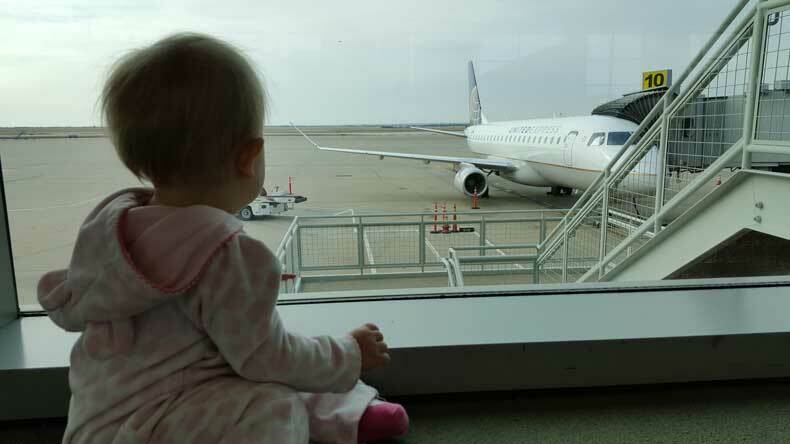 Then there are people that will check out each airline and fly the one that best suits their needs. We’ll call them the “independents”. And then we have those who will not fly a particular airline no matter what because, well, they just don’t like its style. Go to an airline’s Facebook page and read the comments on there. People have no problem at all letting their feelings be known about the airlines. Which airline is the right airline for you? The United States has many airlines from which to choose. There’s United, American, Delta, Alaska, Southwest, Frontier, Spirit, Allegiant, and Jetblue. A total of nine airlines. Of course this has decreased in a big way from just a few years ago when Continental, USAirways, Northwest, Independence, etc. were still around. 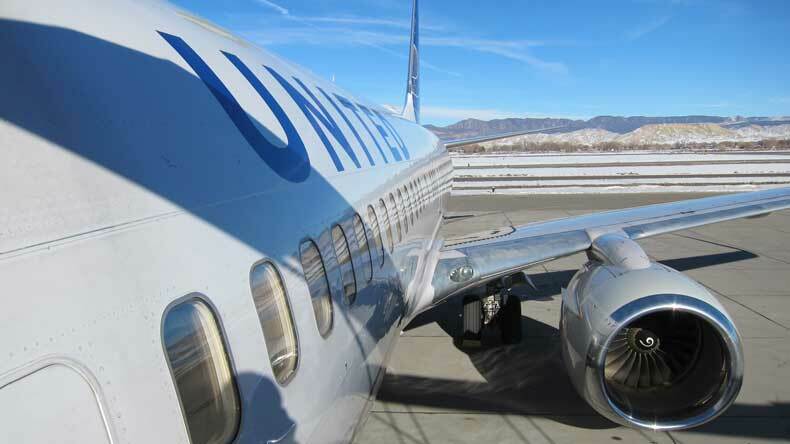 Yes, there have been mergers along the way and just recently we’ve seen a major change in the airline industry. Not every airline is the same. Wait..what? They all fly right? Yes… but each one has a different business model. We can group the airlines into two categories, really. These are the ones that have been around forever and offer you everything from first class seating, meals, alcohol and fancy business lounges. These would be United, American, Delta and Alaska. These are “low/no frills” airlines. You won’t find any first class seats on a Frontier or Southwest Airlines,Spirit or Allegiant flight. You won’t find hot meals being served, and you may not even have a paper ticket to get on board. So what’s the difference between the two? Let’s compare these two brands like they are cars. One airline is like driving a fancy car that has all sorts of bells and whistles to impress you. The other (LCC) is like driving a Honda Civic. It’ll get you there and that’s just about it. And that’s just the way they want it. Every airline has a different business model that works for them. 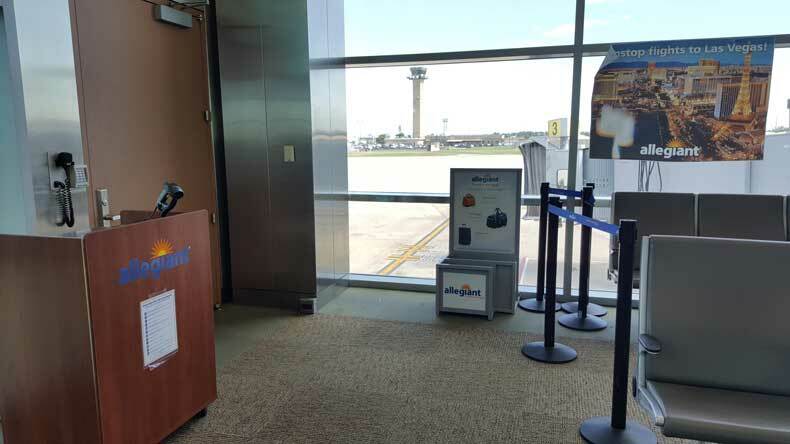 You won’t find any fancy signage for Southwest Airlines. If you see the gates they occupy they’re usually old school placard signs. All these things add up, affecting the price of a ticket. So that leads to the main question. Which airline is really the right airline for you? There really should only be two or three deciding factors in determining which airline is the right airline to fly. 1- Does it fly you where you want to go? Sounds simple but this takes me back to my friend above that refused to fly anywhere Southwest didn’t go. You may have brand loyalty but there are choices. 2- Does it offer you what you want? Do you want in-flight entertainment? Do you want first class? Or do you just want to get there? If you’re a movie watcher and only watch movies on your phone or tablet then you can probably skip the airlines that have seat back TV’s. 3-Does it get you there safely? That seems like a no-brainer, right? But I have read many complaints online about how furious people get when a plane is delayed or even canceled. Yes, we all want to get to our destination on-time, and we get upset when that doesn’t happen. Let’s remember though that man builds planes, and things break from time to time. 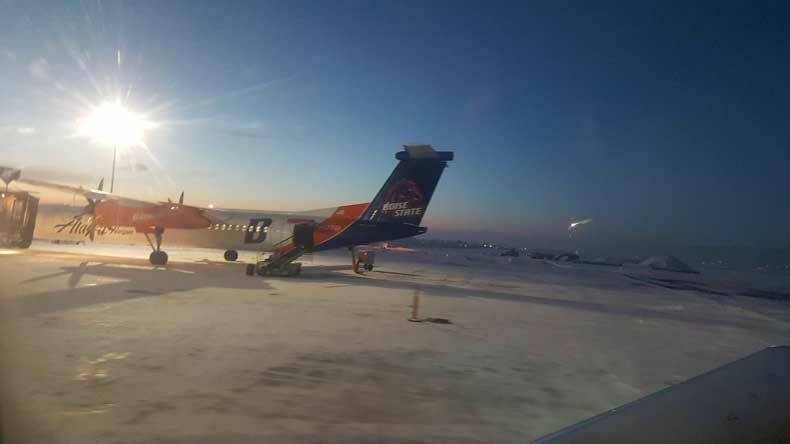 Getting to your destination safely should be more important than getting there with a plane that has mechanical issues. Airline incidents tend to not end well. The last one may be the most important one. 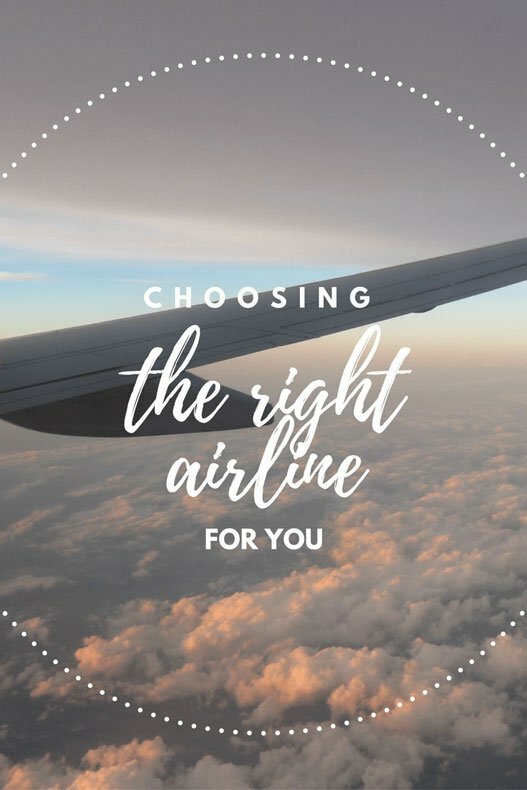 Choosing the right airline shouldn’t be hard. Legacy airline. There are very few areas in the world that American (or it’s partner airlines) can’t get you to. Dallas-Fort Worth/DFW is the main hub for the airline. 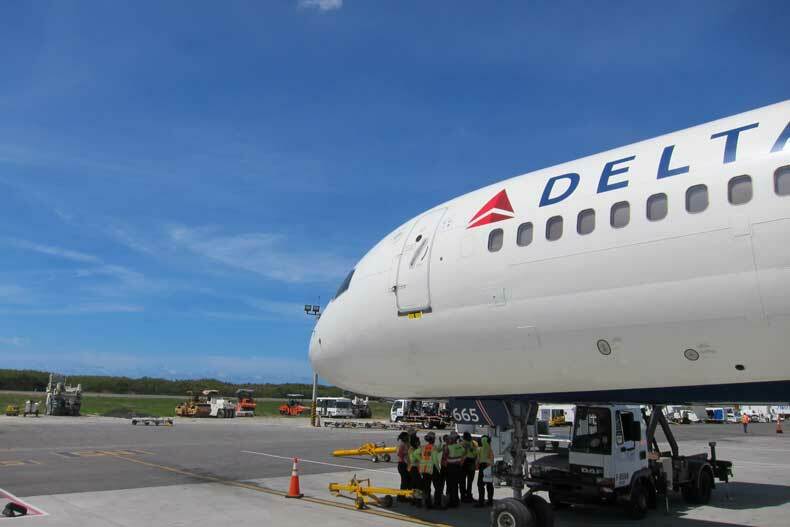 Its has a very good route network in The Caribbean because of its hub in Miami. Planes are a bit older but thanks to a very large airplane purchase they will soon have the newest fleet by 2020. Another legacy airline. Delta is a powerhouse airline. Solid safety record and your vacation will likely start in Atlanta. 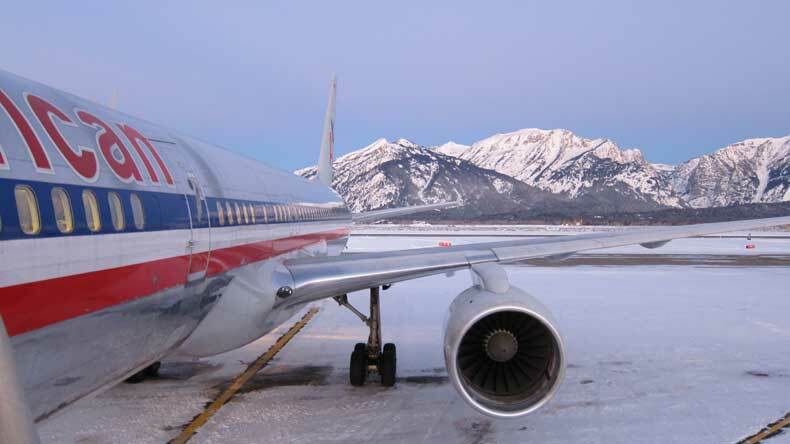 The Salt Lake City hub puts the airline in a good position to serve most ski resorts well in the Rocky Mountains. 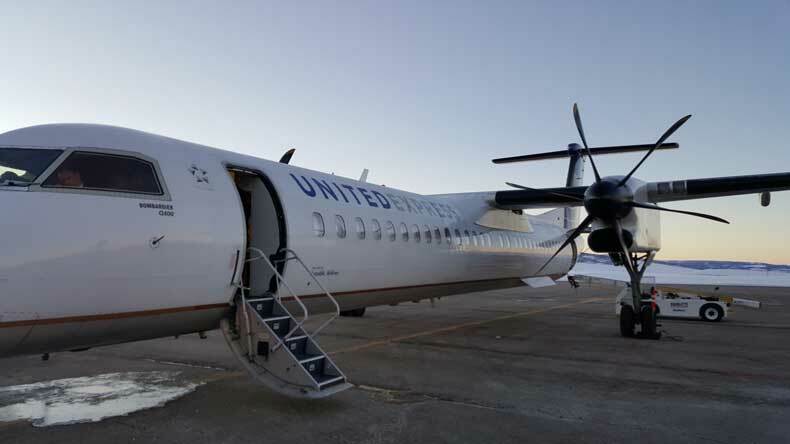 Legacy airline that serves Europe well thanks to its Newark and Washington-Dulles hub. Rocky Mountain ski resorts are served well thanks to its Denver hub. Also serves Central America well because of its Houston-Bush hub. It has a good safety record and good service while in-flight. A young airline in America when compared to Delta, American and United. Has a very loyal following on the West Coast. Main hub in Seattle connects passengers well to Alaska. This airline is expanding a lot in the coming years as Delta Airlines increases the pressure to fly out of Seattle. Other mini hubs for the airline are Portland and San Diego. Extremely loyal following that serves most major markets in The United States. The airline does not have “hubs” but rather focus cities. Las Vegas is the main focus city for the airline. Other popular focus cities are Baltimore-Washington(BWI), Dallas-Love, Chicago-Midway, Houston-Hobby and Denver. 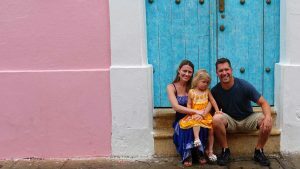 Southwest recently started serving a few markets in Central America and The Caribbean. No first class seating on this airline. Very casual flight attendants with a “fun” atmosphere on most flights. This airline is not the same airline you flew on a few years ago. The airline has a very unique brand that focuses on a low number of flights during the day and tries to offer the cheapest price possible. A la carte pricing means that your ticket price will change during the booking process. 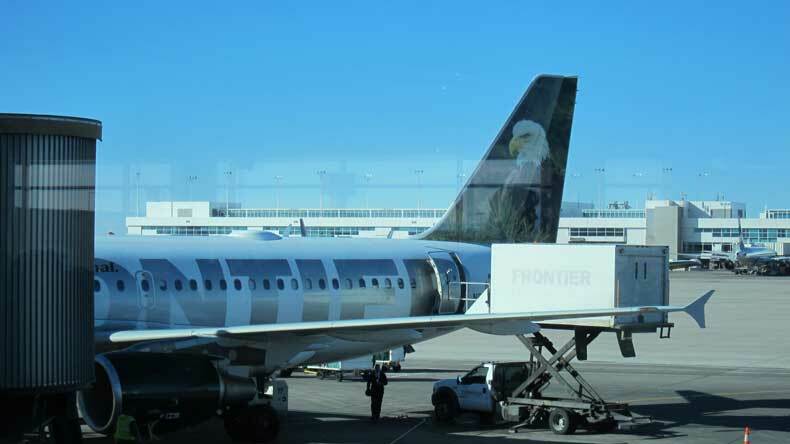 Still maintains a focus city in Denver and has cute animals on the airplanes that kids love. This airline has a very specific brand that can be a bit confusing for some. They do not offer daily flights and focus on vacation markets with 1 or 2 flights a week. Most flights will operate on a Thursday or a Sunday. The goal for this airline is to sell you a full vacation package with hotel included. You can not “connect” at hubs with this airline. Cheap flights that fly to cities that do not have a lot of airline options. A low-cost airline that serves the East Coast to the Caribbean and Mexico. Has a loyal following similar to Southwest. Was one of the first airlines to get a license to fly to Cuba from New York. A very low-cost carrier that has a la carte pricing. Has a hub in Fort Lauderdale that can get you on your cruise for a very low price. The job of this airline is to get you to your destination for as cheaply as possible with less than average customer service. So determining the right airline for you depends on a lot of factors. But with a little research, hopefully you will always be flying high and happy. I enjoyed reading this and I learned something. I did get tickled because you write just like you do the weather. Please don’t leave us to go somewhere else. Well done Damon. Very informative. I haven’t flown in a long time. I’ll be taking a flight in October. This info will help.